This is my third Garmin Edge and the best one yet. The navigation features are basically the same as my Garmin Edge 800 and 810. 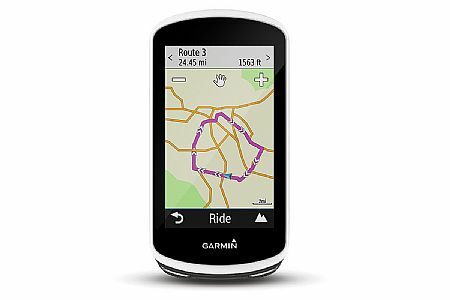 However, the Garmin Edge 1030 offered enhanced training and safety features over the previous models. For example, this model has incident detection. The sensors within the device, along with any other paired sensors such as a speed or cadence sensor, are used to determine if there has been an impact. If an impact is detected, my Garmin will use my mobile phone to send a message within 30 seconds to my emergency contact with my last known location. In addition, the Garmin Edge 1030 also allows me to set an alarm at the completion of set number of miles and time. I use this mileage alarm as a reminder to take a drink and the timer alarm to remind me to eat while Im riding. This bicycle computer is much more than a device used for navigation and to gather useful ride statistics. If you learn and use all the options, this Garmin is well worth the $$. Just using the data fields alone, not to mention the weather data, the averages for your heart, speed, laps and more. Then down loading the data to your computer-wirelessly, thats info to browse while you recover andor watch tv. Being able to review your power usage over the course of your ride lets you evaluate your laps for speed and cadence. This info is useful for pedal strength and efficiency. I also have my Varia Radar linked which I use on every ride. My wingman has the 1030 too, so we use the Group Track to meet up on a ride. The Garmin 1030 has enhanced my riding all around. Glad I bought it, I think youll be glad too. Ride safe.